Accademia Gallery. 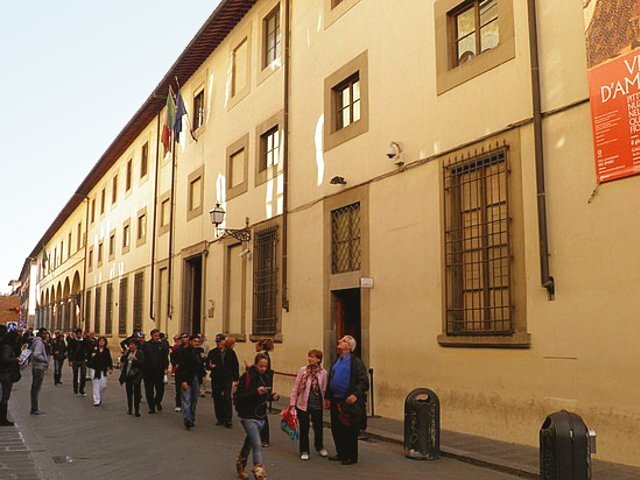 Former hospital in the 14th century, then an Academy of Fine Arts, it houses ”David”, the absolute masterpiece by Michelangelo, a must for all visitors of Florence. Sculpted between 1501-1504 to be an outside decoration of the Cathedral of Florence, it became instead a symbol of the commitment of the Florentine State to freedom and independence, as well as a symbol of the Medici's defeat in 1494. It still personifies energy, vigour and courage, symbolizing the whole of mankind fighting for survival. His anatomy, later reproduced by Michelangelo’s contemporaries, was carefully depicted, thanks to the in-depth studies carried out by the great artist. In addition to David, 4 statues of the Slaves commissioned by Pope Julius II as a decoration of his grave, the “Mourning over Jesus Christ” and “St. Matthew”. The museum houses an interesting collection of paintings from the Middle Ages, Renaissance and early 17th century. Open Tuesday to Sunday 8,15 – 18,50. We remind the visitors to follow some basic rules of good conduct (hover over "Tips for groups" below, to view) and we remind guides that the groups cannot exceed 19 members. 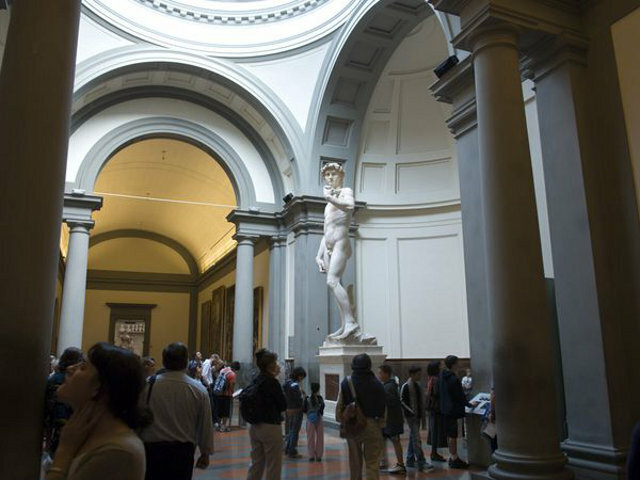 Given the extent of our visitorship, the Accademia Gallery kindly requests you assist your group in following the basic rules of good conduct, which in turn will help to contribute towards making the visit a more pleasurable experience for all. We ask you to maintain the discipline of the students to which you are entrusted or in case of a group, to keep members together as much as possible. The law provides sanctions in case of damage to the artworks. For damages caused by students, accompanying teachers will be held responsible. In addition, please comply with any instruction given by our museum guards. We must also notify you that every room in the museum is under video surveillance and that is for the safety of the artwork and the public, Security will carry out daily inspections. In thanking you for your compliance with the above, we wish you an enjoyable visit.